Education: St. Edwards University, B.A. ; University of Texas, School of Law, J.D. 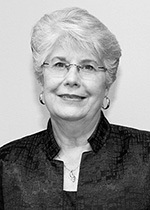 Secretary of the Senate Patsy Spaw was elected Secretary of the Senate in 2001 following more than 30 years of Senate employment which included more than 20 years as an elected Senate officer. As Secretary of the Senate, she is the chief executive administrator of the Senate, and general counsel, and is responsible for the operational functions of the Senate. She supervises the elected officers and department directors of the Senate and controls and coordinates the operation of the central Senate staff. The Secretary of the Senate is the official custodian of all Senate documents. All requests for information under the Public Information Act (open records requests) must be submitted in writing to the Secretary of the Senate. For complete instructions for filing an open records request, please click here (PDF). The Secretary of the Senate approves all requests for computers, software, and scanners and for computer equipment relocation. 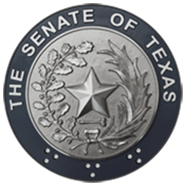 The requests must be submitted in writing to the Secretary of the Senate and, once approved, the requests are forwarded to the Texas Legislative Council for processing. During legislative sessions, the Secretary is responsible for calling roll, reading bills, maintaining legislative records, receiving legislative messages and communications, and supervising Senate floor staff. The Secretary also receives pre-filed bills for the upcoming session as provided in Senate Rule 7.04. Beyond her administrative duties in the office and her legislative duties on the floor, the Secretary must satisfy the demands of her electorate, the 31 members of the Senate. She must answer queries from citizens and groups from throughout the state and the nation and participate in ceremonial and social occasions as a representative of the Senate. During the interim, the Secretary of the Senate's Office serves as a general administrative office, information and announcement center, clearinghouse for staff functions, and coordinator of staff development and training programs.